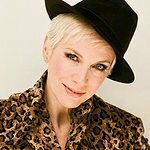 Annie Lennox spoke at a Parliamentary Meeting as part of the 19th International AIDS Conference on Monday, July 23. “I’d like to share the story with you as to how I became an AIDS campaigner and activist,” she said. "In November of 2003 I was invited to take part in a special concert held in Cape Town South Africa, to launch Nelson Mandela's HIV Foundation, 46664. “The day after the concert, all the artists were asked to join Mandela for an international press conference held in Robben Island, the place of his incarceration for the most part of 27 years. “As we gathered together in the exercise yard in front of his former prison cell, facing an assemblage of press and photographers, we were about to witness a speech that had such an impact upon me that it would kick start the journey of activism and advocacy that I’ve been passionately engaged with ever since. “Mandela spoke about the HIV/AIDS pandemic as it was affecting the entire nation of South Africa – especially with regard to women and children, describing the situation as a literal “genocide”… a term that carries such resonance and weight that it can never be used lightly. People could not access treatment, and as a result thousands of South Africans were dying on on a daily basis. “One in three pregnant women were HIV positive. The situation was horrendous. “After all the years of struggle against apartheid, the fact that South Africa was now facing a lethal pandemic which was virtually wiping out two generations of both parents and children; coupled with the fact that the government at that time was not responding effectively to the situation, seemed like the darkest kind of pyrrhic victory to me. “By the time I left Cape Town, I was determined to do something to contribute towards making a difference. Mandela’s words had shaken me and woken me up to was actually happening. “I couldn’t understand why this human catastrophe wasn’t emblazoned across the headlines of newspapers, television and radio everywhere. “Baffled and outraged, I started asking questions in order to understand what was happening, recognizing the terrible irony existing in the fact that the post apartheid citizens of the so called “Rainbow Nation” had inherited a country that was living and dying with the highest rates of HIV infection in the world. “I started traveling to places where people were struggling to exist, and looked right into the human face of HIV /AIDS. “Let me tell you about a child I met – her name is Avelile. She was born HIV positive. Her mother died of AIDS when she was a baby. At seven years old, she weighed little more than a one year old, and was seriously ill with pneumonia and full blown AIDS. Her grandmother had brought her to hospital, but the doctors and nurses weren’t sure whether she’d survive.We spent several hours together. When we left the hospital we all felt heartbroken, thinking that she probably wouldn’t make it. “Five months later, we went back to South Africa. The nutrition and medication Avelile had received had worked. And this was the little girl we encountered. “My perspective has changed because I’ve witnessed the effects of AIDS first hand. “I’ve visited child headed households where the most vulnerable children have been left to fend for themselves after their mother and father have died. “This is what motivates me to play my part in campaigning on HIV/AIDS – whether that has been through my own SING Campaign, which was set up just over 4 years ago, or in my work as an ambassador for UNAIDS, The Red Cross and Oxfam. “If my coming here today, inspires just one individual to connect, and make a contribution whether it be the giving of time, sharing knowledge and experience or engaging in fundraising activities – it will have been worth it. “If my coming here today re-energizes those already connected – it will have been worth it. “We are living in challenging times, which for many of us are currently the cause of great worry and uncertainty. If my coming here today can save the lives of just one mother and her baby – it will have been worth it.